An acorn fell from the oak tree on my front lawn this afternoon. It’s too sad to even mention autumn, so let’s talk boys of summer. 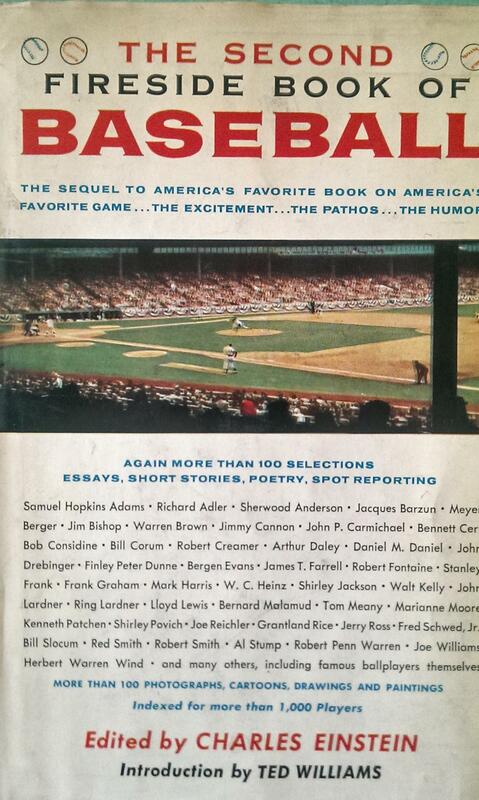 The Second Fireside Book of Baseball is a collection of short stories edited by Charles Einstein and with an introduction by Ted Williams, the Boston Red Sox Hall of Famer. The jacket cover is showing its age and my scanner is broken, so apologies for the poor quality image. The book was published in 1958. The Brooklyn Dodgers last played at Ebbetts Field in 1957 and first played Los Angeles in 1958. Lois Nettleton probably acquired this title during her relationship with Jean Shepherd, an avid baseball fan. My guess (a wild guess) is that Shepherd was feeling wistful about the Dodgers leaving and purchased the volume to commemorate a happier time. Here’s a video clip of Shepherd at Fenway Park telling stories as only he does about Chicago, the White Sox, and Bullfrog Dietrich. So the book makes a lot of sense in Lois’ collection. It also pulls together a few threads — Lois, Shepherd, and Chicago, where my mom and Lois grew up. The book has lots of photos, including this one that seems startingly prophetic. 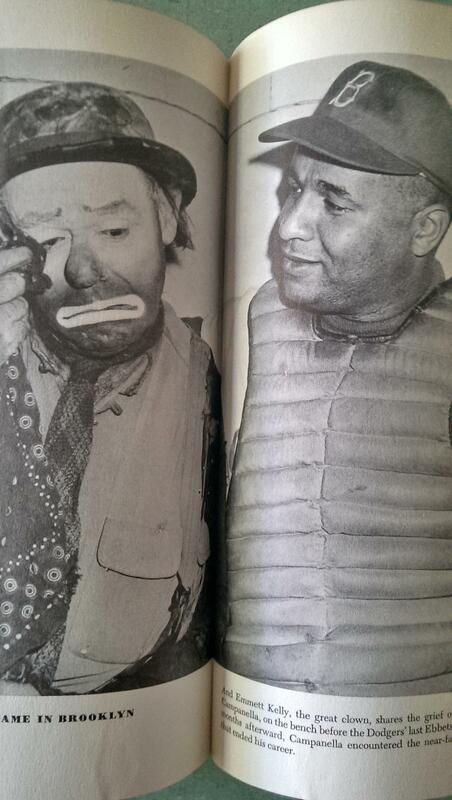 “Emmett Kelly, the great clown, shares the grief of the moment with Roy Campanella, on the bench before the Dodgers’ last Ebbets Field appearance. Short months afterward, Campanella encountered the near-fatal automobile accident that ended his career”. There is lots of good stuff here, including stories by Walt Kelly of Pogo fame and Pulitzer Prize Winner, Robert Penn Warren. The book isn’t only about baseball — it’s about journalism and America and innocence. 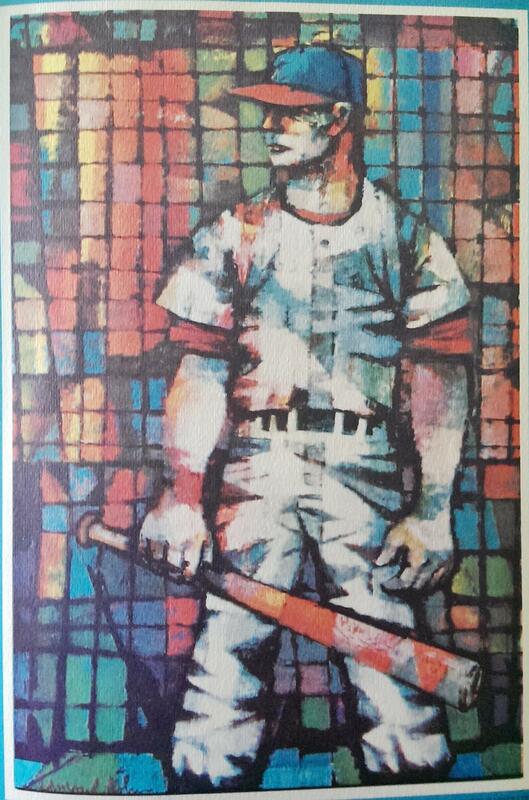 Let me close with this cool illustration by Edmond Kohn that is printed on the inside cover of the book. It reminds me a bit of a Leroy Neiman, an artist whose work Lois had acquired. May you enjoy the remains of summer. Mad Men – End of the road or U-turn?